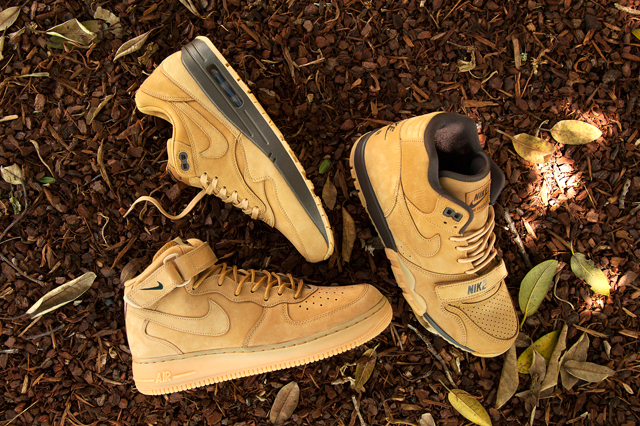 The Nike Flax Collection – otherwise known as the “Wheat Pack” is set to continue for another year with the recent release of Nike’s popular Fall 2015 range. Nike’s novel approach has won a number of converts in the sneaker world. For the second year running the company has successfully remodelled their most iconic shoe silhouettes and given them the “Wheat treatment”, a pleasing invention which is a remake of the original shoe but with golden wheat tones. 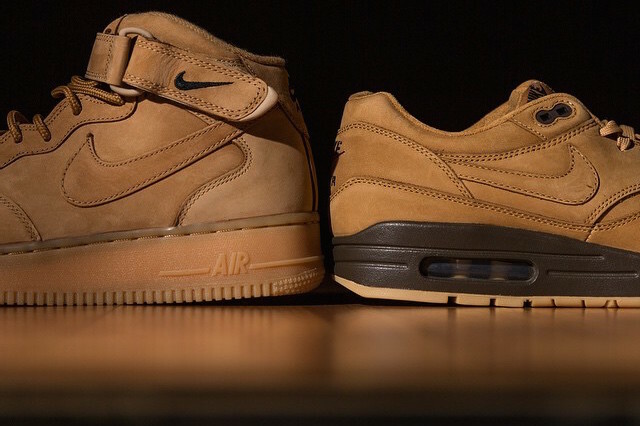 Due to their commercial success during the initial November 2014 launch, Nike has brought back the Wheat Pack for 2015. The popular 2014 collection encompassed three classic additions which incorporated the latest weather resistant technology, unique accents and on trend design. Designed as an alternative to boots, the Nike Flax collection boasts a range of new features to give you the comfort you need including the typical lightweight feeling that Nike footwear is known for. At the forefront of the collection is the Flax Air Force 1, the only sneakers in the collection that contains the flax colourway throughout the entire shoe. The Air Force 1 still sports the usual black Nike logo printed on the heel counter and lace guard as well as boot-like laces, gum soles and smooth nubuck leather. In 1987, the Nike Air Max was the first shoe to incorporate the revolutionary Air-sole unit in the heel of the sneaker. Now almost thirty years later, the iconic design has evolved into one of the most desirable shoes on the planet. The Air Max 1 has flax colourway throughout the entire shoe with the exception of a brown sole as opposed to the Air Force 1’s gum sole. The Nike Air Trainers follow the colour trend with flax colourway and like the Air Max, contains a baroque brown midsole. The Nike Air Trainers differentiate from the rest of the collection in that it features a baroque brown insole. Sneaker fans have reacted favourably to Nike’s announcement of their upcoming launch with some going so far as to say that they would pay any price to get their hands on a pair from the Nike Flax Collection. The Timberland inspired Wheat Pack is set to sell fast with its combination of fashion appeal and comfort; wearers get the rugged look of Timberland boots without having to carry the weight of actual boots. Already established as street fashion favourites, Nike keeps it affordable with prices ranging from $120-$130. With the amount of hype and ever-increasing popularity surrounding these shoes, we hope that Nike will continue to release similar offerings year after year.